The company reportedly has known about the asbestos in its signature product since the early 1970s. In this photo illustration, a container of Johnson’s baby powder made by Johnson and Johnson sits on a table on July 13, 2018 in San Francisco, California. 15 Dec 2018 – Was there a carcinogen in the baby powder, all this time? Some of the 11,700 plaintiffs in a lawsuit against the company — including thousands of women with ovarian cancer — claim that the company’s talc caused their illness. The investigation relied upon trial testimony, depositions, and “thousands of pages of company memos, internal reports and other confidential documents,” the wire agency said. “The documents also depict successful efforts to influence U.S. regulators’ plans to limit asbestos in cosmetic talc products and scientific research on the health effects of talc,” according to the report published on Friday. Asbestos is frequently found underground near talc, the primary ingredient in baby powder. It was a source of worry within Johnson & Johnson as early as 1957, when reports by a consulting lab mentioned tainted talc. There is no safe level of exposure to asbestos, according to the World Health Organization. Even trace amounts are dangerous. That asbestos is the primary cause of mesothelioma has been widely understood since the early 1970s; in 1972, the first ruling of the Occupational Safety and Health Administration — a new creation courtesy of President Nixon — was a limit on workplace exposure to asbestos dust. In recent years, Johnson & Johnson has been on the receiving end of a wave of lawsuits over its baby powder. As the Times points out, this summer saw 22 women with ovarian cancer sue Johnson & Johnson, arguing that the company knew about the talc-asbestos link and did nothing about it. Their reward — $4.69 billion — was one of the largest personal injury verdicts in history. The company lost two other cases this year, in California and New Jersey, brought by people with mesothelioma, a cancer of the lining of internal organs that is associated with asbestos. But in some cases, Johnson & Johnson has prevailed. As Reuters reports, “at least three juries have rejected claims that Baby Powder was tainted with asbestos or caused plaintiffs’ mesothelioma. Others have failed to reach verdicts, resulting in mistrials.” Johnson & Johnson has announced plans to appeal the verdicts against the company. 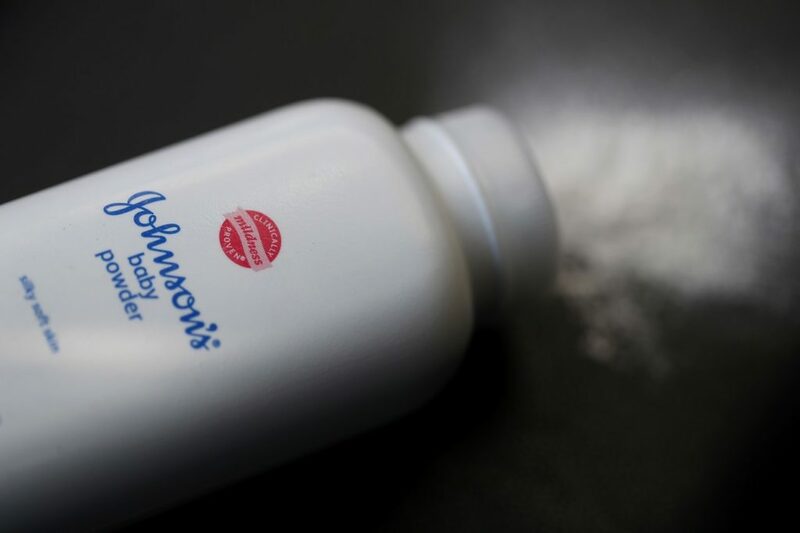 Perhaps surprising to the public, which associates Johnson & Johnson primarily with its baby powder, the powder isn’t even the company’s highest-selling product — far from it. But the brand’s image is inextricably linked to the company.